Riyadh, Saudi Arabia, November 21, 2018: Luxury British footwear brand, Malone Souliers by Roy Luwolt, is bringing elegant design and style to the newly launched Robinsons department store in Kingdom Mall, Riyadh. The brand has released four new designs, created exclusively for Robinsons in Saudi Arabia. The collection pays tribute to Malone Souliers’ attention to detail and understated glamour, which is prevalent across the four designs. The collection consists of varying high heel options, available in four different shades, including green, silver, red and pink, each with its own unique design. The green model is accented with gold highlights, while the silver and pink designs contrast with a shiny metallic finish. The red pair is complemented by sophisticated tones of silver and gold. One of today’s most sought-after celebrity brands, Malone Souliers by Roy Luwolt has seen a successful 10 seasons as one of the most premium brands in the fashion industry. Following an ethos of beauty and attention to intricate details, Malone Souliers uses age old techniques along with the finest quality materials to create shoes that are both comfortable to wear, as well as perfectly on trend. With a goal to enhance the beauty of feminine footwear, the brand focuses on the highest levels of perfection, from its trademark arch to its elegant heels. A favorite among today’s A-list Hollywood celebrities, the brand has developed cult status with a following to match, counting stellar names such as Blake Lively, Beyonce, Cameron Diaz, Jessica Chastain, Anna Kendrick and Lupita Nyong’o, who have all been seen wearing the brand’s designs. 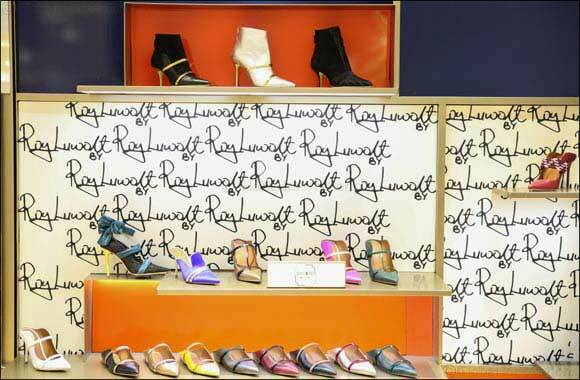 The Malone Souliers by Roy Luwolt collection is now available exclusively at Robinsons in Kingdom Mall, Riyadh.